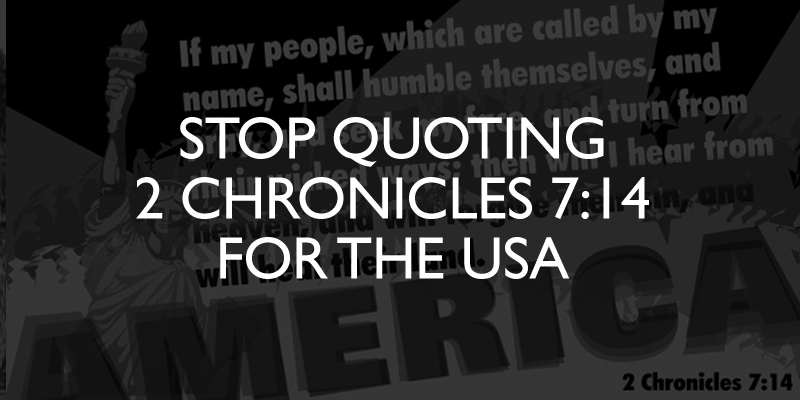 I hear it quoted by many American Christians, especially during election seasons: 2 Chronicles 7:14. Attached to this verse are pleas for different groups to change their wicked ways. Sometimes it’s applied to American Christians, American politicians, American politicians who are Christians, or just America in general. Take your pick. It doesn’t matter. They’re all mistaken. I know this may upset some well-meaning believers who have cited this verse time and again when things look morally bleak across the land they love. It’s all the more confusing when, say on social media, fellow Christians respond with a hearty “Amen,” retweet your post, or click the Like button in a spirit of solidarity. But it still doesn’t remove the fact the biblical text is being misapplied. To be direct, 2 Chron. 7:14 has nothing explicitly to do with the United States. Nothing. How so? When in doubt, always look at a Scripture’s context. We first notice 2 Chronicles is an Old Testament book which deals with God’s original (or Old) covenant people, the Israelites. That should be a big clue as to why the USA doesn’t factor into this passage. It gets clearer as we examine the immediate context. 2 Chron. 7 follows King Solomon’s dedication of the Temple he built on behalf of Israel. Verse 12 says God spoke to Israel’s king in a dream saying Israel should obey the Lord’s covenant with them. If the Israelites do, they will enjoy the blessings of the covenant which includes a fruitfulness of the physical land itself. Look at how Deuteronomy 28:1-6, 8 details Israel’s obedience to the old covenant and the physical blessings it entailed. And if you faithfully obey the voice of the Lord your God, being careful to do all his commandments that I command you today, the Lord your God will set you high above all the nations of the earth. And all these blessings shall come upon you and overtake you, if you obey the voice of the Lord your God. Blessed shall you be in the city, and blessed shall you be in the field. Blessed shall be the fruit of your womb and the fruit of your ground and the fruit of your cattle, the increase of your herds and the young of your flock. Blessed shall be your basket and your kneading bowl. Blessed shall you be when you come in, and blessed shall you be when you go out…And he will bless you in the land that the Lord your God is giving you. Clearly this is an Old Testament passage to an Old Covenant people with a call to be faithful to the Old Covenant promises in order to receive Old Covenant blessings (see a pattern here?). The King of Israel and his people are to keep covenant with Yahweh and in doing so, God will bless them, even the very land of Israel itself. 2 Chron. 7:14 is simply referring to these Old Covenant promises. Now the immediate context of v. 13 makes better sense. God says if Israel disobeys he will “shut up the heavens so that there is no rain, or command the locust to devour the land, or send pestilence among my people.” Blessing and cursing is literally tied to the land itself. But how come American Christians don’t quote that part of the verse? In the ESV v. 13 is actually the first part of the sentence which v. 14 completes. This only demonstrates how 2 Chron. 7:14 is explictly a command and promise for Israel. They are the “my people” in context. 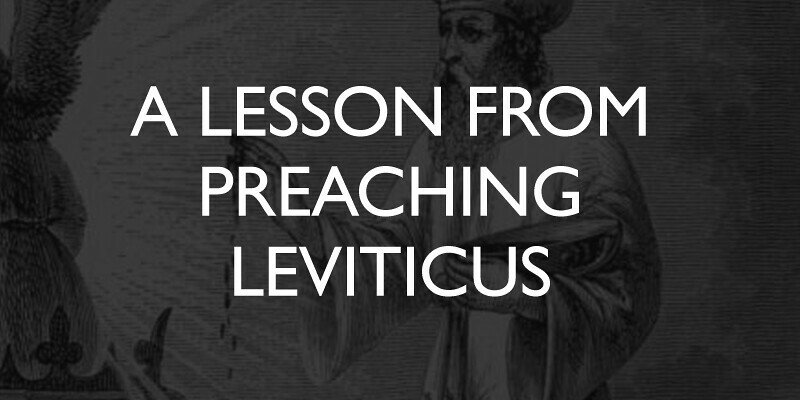 It’s about Hebrews in ancient Israel, not modern-day Christians in America. Old Covenant people receiving Old Covenant promises, not New Covenant people receiving New Covenant promises. For the record, the Gospel of John demonstrates that for New Covenant believers, these promises and blessings are fulfilled in Jesus. Christ is the better Temple, People, sacrifice, high priest, etc. This is where, once again, Bible readers (and quoters) should understand at what stage each biblical book is in the progressive revelation of salvation history. The text at hand is Chronicles not Corinthians. Removing 2 Chron. 7:14 from your quotation arsenal won’t really change much in what you hope for the United States. You can still call fellow Americans to repent of their sins. You can continue hoping and praying for a national revival where fellow citizens come to the saving knowledge of Jesus Christ. You don’t have to remove the fact that our national history clearly had Judeo-Christian moorings in its founding. You also can continue to love America and think it’s a special place – one blessed by God. All of those things can still be true without quoting 2 Chron. 7:14. The only difference is you won’t be using the Bible incorrectly. Recently I had a stimulating conversation over lunch with a couple of pastors who were wrestling through some theological issues. One of the main threads of conversation was woven around how one deals with apparent contradictions or tensions in the Scripture. For example, how can we reconcile the doctrine of individual election with the idea that God desires all men to be saved? Well, we can talk about what the Bible means by “all men” or discuss the two wills of God, but those discussions still don’t remove us from the truth that many times learning about who God is and what God does leaves us at the foot of mystery. Personally, I completely okay with the tensions concerning what the Scriptures say about God and how he works. I don’t feel the need to smooth everything out. I don’t have to get all the answers. Frankly, the fact I can’t get them reminds me God is God and I’m not him. 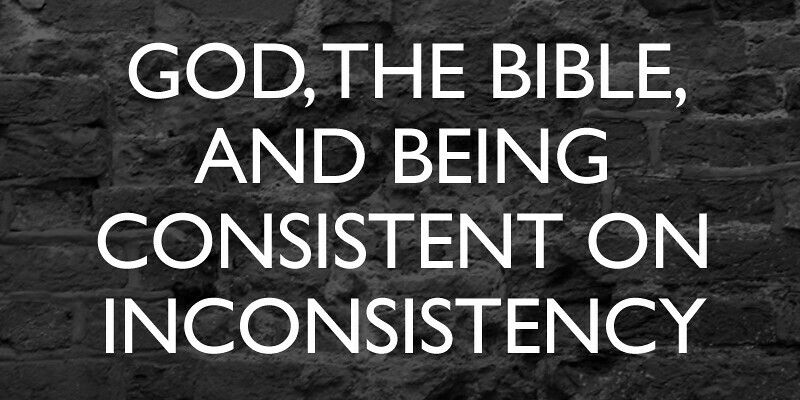 So if others regard me as inconsistent because the Bible seems to say contrasting things, I’m totally okay with it. I feel no need to explain how God makes those apparent contradictions work within his economy. Indeed, I couldn’t if I wanted to. Again, I’m totally okay with the mysteries of God in Scripture. Spurgeon is so good here. I’m with him. I could care less about consistency with my views if the Scripture is clear to say differently. Scripture is the authority, not my theological constructs, as helpful as they may be. You might say, because I believe the Bible over any particular system, there will be times where I’m committed to be consistently inconsistent. And so should you.